Brief bio of Dunn, followed by an overview of the Australian Baha'i community. Clara Dunn, above, and her husband, Hyde Dunn, were spiritual pioneers who brought the Bahá'í Faith to Australia in 1920. When Clara Dunn introduced the Baha’i Faith to Australia with her husband, Hyde Dunn, in 1920, she immediately began to exemplify a major principle of the religion, the equality of women and men. For the next two decades until Hyde’s death, Clara Dunn (1869-1960) worked shoulder to shoulder with her husband to spread the word about the new religion. After he died in 1941, she kept up the pace. A woman taking on such a prominent role in religious affairs was rare in Australia during the decades from 1920-60 when females were required to remain in the background. Clara lived to witness the emergence of local Baha’i communities across the continent and a well-functioning national Baha’i administrative framework. Near the end of her life she participated in the foundation ceremony of the Baha’i House of Worship in Sydney, now a city landmark. There had been no indication in her early years that Clara would have an opportunity to play such a leading role in religious history. The first three decades of her life were marked by difficulties. Clara, born in London but raised in Canada, had an unhappy childhood caused by the quarrelling of her parents. The tragic death by accident of her first husband left her in her late teens with a baby whom she had to foster out because she could not afford to raise him. Illness and unemployment plagued her. Aged 33, she moved to the United States where, five years later, the foundations were laid for her Baha’i destiny. In 1907 Clara met John Henry Hyde Dunn, who told her about the teachings of Baha’u’llah. Clara quickly became a Baha’i. Another five years passed until in 1912 she again met Hyde, as he preferred to be known, this time at the house where Abdu’l-Baha, the head of the Baha’i Faith, was delivering one of many compelling talks on a lecture tour of North America. In later years Clara often recalled the “indescribable” experience of being in Abdu’l-Baha’s presence. “Oh, His smile was so beautiful!” she said, adding that He was “radiant and glorious looking”. That meeting with this magnetic and spiritually uplifting figure was to inspire Clara and Hyde until the end of their long lives. Hyde Dunn’s first wife, Fanny, also a Baha’i, died in 1916. A year later Clara and Hyde married. In 1919 the couple read a message from Abdu’l-Baha that was to change their lives. It was a call for pioneers to take the Baha’i message to many regions throughout the world. “Australasia” was specifically named, and in a later personal message to the Dunns, Abdu'l-Bahá said their plan to go to Australia was “highly advisable”. On 10 April 1920, Clara and Hyde arrived in Sydney. By setting foot on Australian soil they were elevated into that rare group of individuals who can be identified as the first to bring an independent world religion to a continent. Clara was the first to find a job, and some five months later Hyde gained a position as a travelling salesman. This development enabled Clara to quit her job, accompany Hyde around Australia, and make use of her special skills to further their joint mission in life. They also visited New Zealand and assisted the Baha’is there. Clara and Hyde operated as a team. While Hyde worked during the day, Clara made friends who she would invite to Baha’i meetings to hear her husband speak about the essential Baha’i teachings: the oneness of God, the fundamental unity of world religions, and the oneness of the human family. An elegant, dignified man, Hyde was a brilliantly gifted speaker but he was exercising his skills in a religiously conservative environment. It took two long years before Oswald Whitaker, a Sydney optometrist, became the first Australian to join the faith. Soon afterwards, Effie Baker, a photographer in Melbourne, became the first woman in Australia to accept the teachings of Baha’u’llah. Those two declarations of faith established the foundation on which rests today’s Australian Baha’i community which is active in all States and Territories and in most towns and rural areas. Clara worked strenuously to help build up the faith’s administrative structure in Australia, an essential task in the development of a religious community which has no clergy. After returning from a Baha’i pilgrimage to Haifa and Acre in the Holy Land, she actively encouraged the establishment of a national Baha’i governing body, an event that occurred in 1934 with the election of the first National Spiritual Assembly of the Baha’is of Australia and New Zealand. After Hyde’s death during World War II, Clara emerged as an impressive speaker in her own right. Her activities did not noticeably slow even as she moved into advanced years. In 1952 the head of the Faith, Shoghi Effendi (1897-1957) publicly recognised Hyde and Clara by naming each a Hand of the Cause of God, a position recognising their spiritual eminence. Clara Dunn in 1957. In November 2010, Australian Bahá'ís marked the fiftieth anniversary of Clara Dunn's passing with a nationwide series of events. 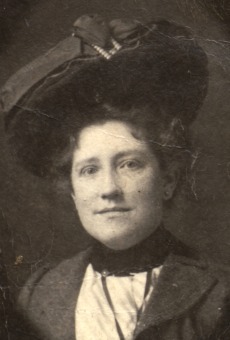 Clara Dunn had experienced widowhood twice, unemployment, religious prejudice, the loss of her son, ill health and financial difficulties, yet near the end of her days when she was asked to recount the difficulties in her life, she said there weren’t any worth speaking of. Problems she had encountered, Clara said, had served the purpose of enabling her to understand the trials of others. At an event in Sydney in 2010 marking the 50th anniversary of her death, Dr Peter Khan, who had known her when he was a young man, described how Clara dealt with her many personal difficulties. “In a very real sense, she conquered herself,” said Dr Khan, a recently retired member of the Faith’s international governing body, the Universal House of Justice. “She overcame these great, formidable obstacles in her life and they were the vehicle for her spiritual development,” said Dr Khan, who singled out her quality of perseverance “year after year, decade after decade”. Those remembering Clara Dunn speak also of her humility, serenity and vigour, and of the joy she brought into people’s lives. Viva Rodwell, now in her 90s and living in Sydney, recalls Clara’s “gorgeous chuckle and her wonderful sense of humour”. Anecdotes abound: she liked to be driven fast in a car, she loved playing with children and giving them little gifts, she sought out black jellybeans, she always kept in touch with notes and letters. A nurse by profession, she had a gift of healing. But people who remember her quickly move on from such stories to describe the inspiring experience of seeing and hearing her recite the uplifting and poetic prayers that are dear to the hearts of all Baha’is. “She said prayers so dramatically and sincerely you never forgot it,” Mrs Rodwell recalls. In 1958, just two years before she passed away at the age of 91, Clara Dunn played a key role in the laying of the foundation of the Baha’i House of Worship in Australia’s biggest city, where she and her husband had once lived as the only two Baha’is on the continent. It was a dramatic and moving moment, a fitting and symbolic finale to four decades of raising up an Australian Baha’i Community. 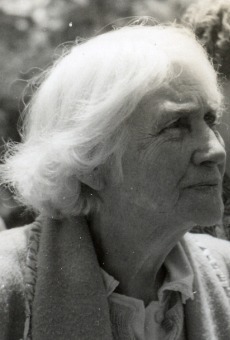 Upon her passing, the Hands of the Cause in the Holy Land sent a cable reminding the entire Baha’i world, including a grieving Australian Baha’i community, that Clara Dunn had responded to ‘Abdul-Baha’s plan and had “rendered unique, unforgettable pioneer service over a forty year period”. Australian Baha’is come from a variety of national, ethnic and occupational backgrounds. We worship, serve and learn together as equals. We work side by side with other Australians as we learn how to be an effective, positive force in the community based on our commitment to peace, the oneness of humanity and the unity of religions. Many Australians are attracted by the inspiring spirituality of our Faith, its vision of a global civilisation and its participatory and inclusive organisation. They want to fulfil their own potential and play their part in building a better world. We encourage enquiries and like to hear from people interested in joining or working with us to learn how to implement Baha’i principles so that we can address the challenges facing us, our families and our world. We welcome new members, but it is not our way to push the teachings of the Baha’i Faith on anyone. We also offer a warm invitation to anyone wanting to attend our devotional meetings, study circles, empowerment programs for junior youth and classes for children. There is no requirement to be a member of the Baha’i community to fully participate in these activities. The Australian Baha’i community has its roots in the dedication of a small group of people nearly a century ago. In 1920, Englishman John Henry Hyde Dunn, and his English-Irish wife, Clara, arrived in Australia from the United States, where they had both emigrated. They were the first Baha’is to settle in this country. In 1922 the first Australians joined the Faith. They were Oswald Whitaker, a Sydney optometrist, and Effie Baker, a Melbourne photographer. Soon Baha’i groups sprang up around the country. By 1934 there were enough Baha’is to elect a national governing body, the first National Spiritual Assembly of the Baha’is of Australia and New Zealand (New Zealand later formed its own National Spiritual Assembly). In 1955 Fred Murray of South Australia was among the first Aboriginal people to become a Baha’i. The Baha’i Temple at Ingleside, Sydney was opened in 1961 and became the public symbol of a growing Baha’i community reaching out to the wider society. The size and diversity of the community was boosted in the 1980s when Australia opened its doors to those fleeing the resurgence of persecution of Baha’is in Iran. Their subsequent settlement, integration and contribution to Australian life have been a major success story. In recent years, the Faith has gained a higher profile through its activities for peace, human rights, interfaith harmony and gender equality, as well as the religious education we provide in many State schools in Australia. Many Australians now encounter the Australian Baha’i Community through the services we offer in neighbourhoods and other grassroots activities in many parts of Australia. by performing at an Australia Day ceremony in Perth.